There are plenty of books out there that boast being able to help you solve all your business-y problems, but few that actually deliver anything meaningful or at least tangibly actionable - many too entrenched in theory rather than practice. 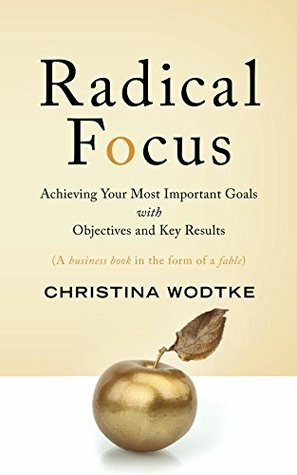 RADICAL FOCUS manages to find a place among those few while also handling the subject in a delightfully surprising way that some may just even describe as radical! 5/5 Not only is this book clearly written from actual experience, but it also leaves things broad enough for you to have an open mental dialog with the text that helps relate back to how you might be able to use the material AND manages to cover the it all in a fun and engaging manner. The book mainly advertises that it is about OKRs which stands for Objectives and Key Results. The idea is that using these can help you better understand how your team and product are doing by setting aggressive, but achievable goals for yourselves that help you obtain (and define) success. Really though, the book does a nice job covering agile product development and product management in general from a business point of view. It even delves into things like dealing with difficult team members and having conversations which left me impressed by just how much ground was covered in such a short time. The way all this information is laid out may be the main draw of the book over others that cover similar ground. It's written in two parts: the first being a fable of sorts that illustrate the various struggles a team may have when delivering a product as well and how those can be overcome, the second being some sections that break down and analyze how it all works. 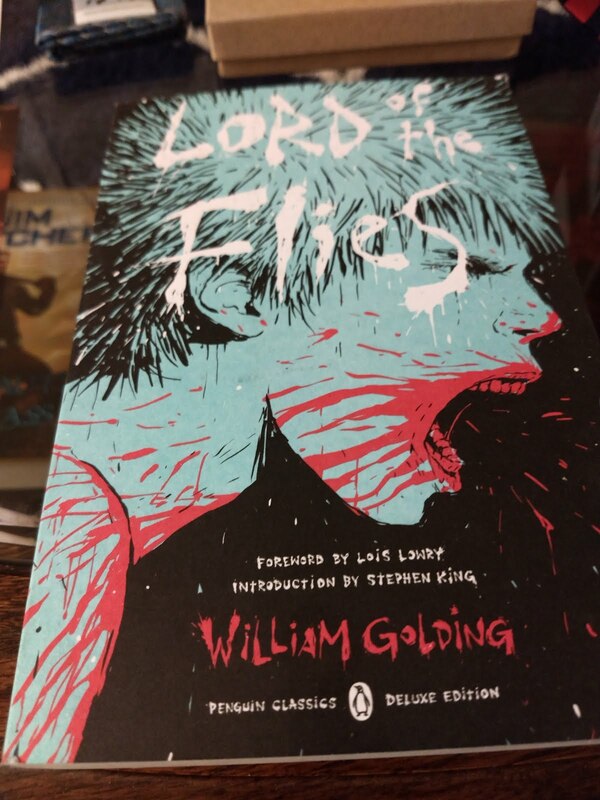 I personally loved the way this was done, as I was able to enjoy a narrative-style case study of sorts that demonstrated the books core concepts and then had a chance to dive a little deeper into their theory and practical application afterwards. This is a short, but sweet read for really anyone in the business world as I believe the main ideas covered could be applicable to a lot of different things. The materials are delivered in an engaging manner to boot which makes it that much quicker to read through. I don't know if I'll immediately convert over to everything outlined in the fable, but I do feel better off for having read through these ideas and thinking about how they can tie back into what I do today. Lately I've been giving a couple of "bookish" subscription boxes a chance. 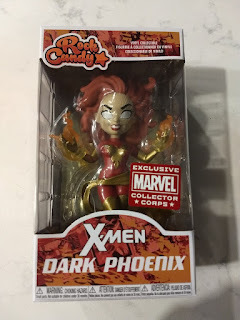 These are a fun way to get a random, surprise assortment of items that can be a nice little treat at the right price point and delivery cadence. 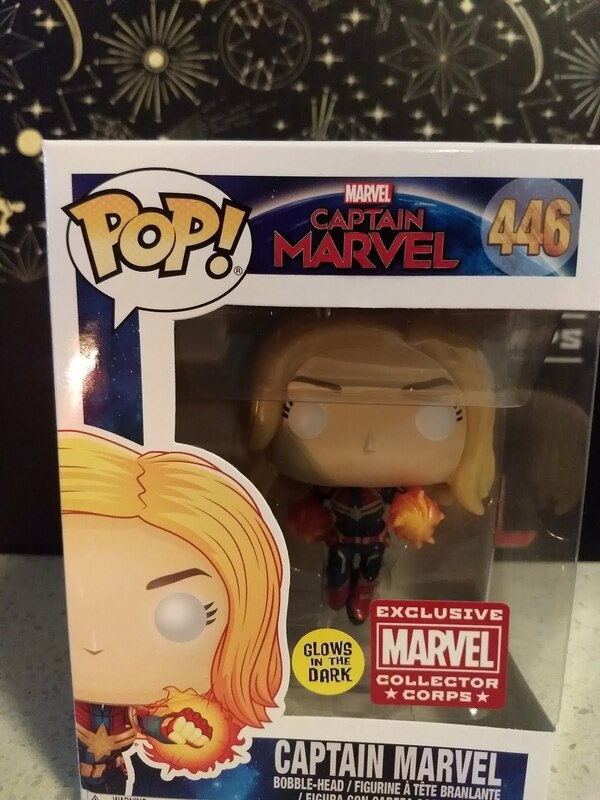 While not really a "bookish" box service, I do enjoy putting Funko's products on a bookshelf as dorky decoration. Marvel Collector Corps boxes are produced by Funko so the main attraction with these is always the exclusive Funko Pop figure (those adorable figures of licensed characters with huge heads). The boxes are nice enough on the outside - each fitting their designated theme. For anyone that's been following this service for a while though, it may be worthwhile to note that there's nothing on the inside of them. 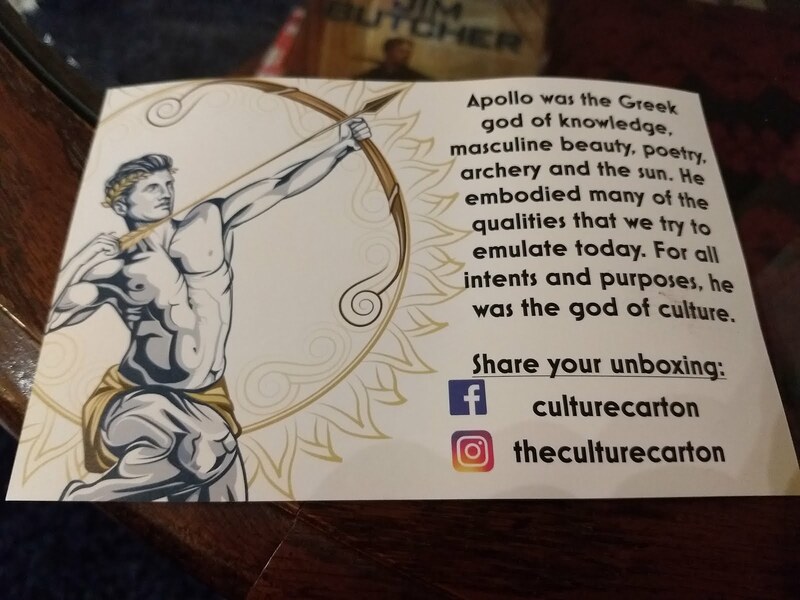 Older un-boxing and review videos showcase some nice comic artwork on the inner lining of prior boxes, but it seems they've moved away from that based on the two that I've received. It's possible that this is because no one was really paying attention to it - I can't say that I felt like I was missing out. 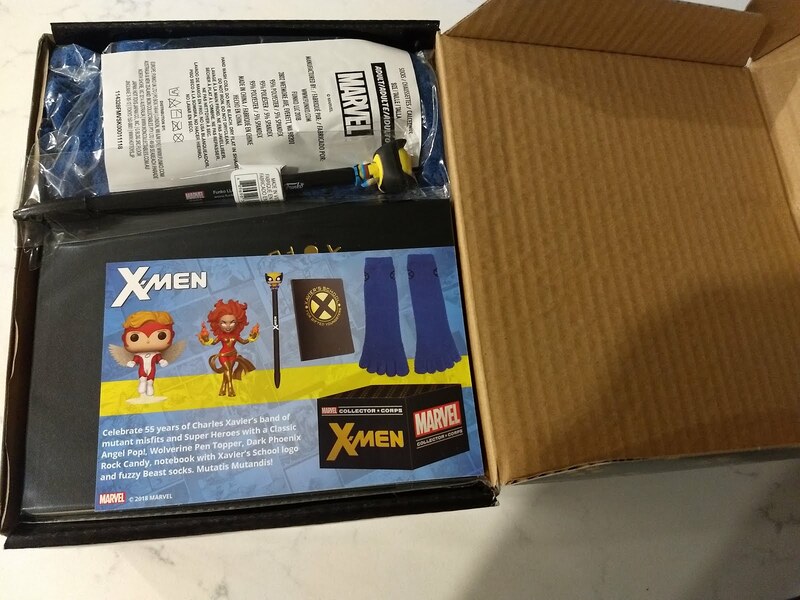 The January box I received had a theme of "Classic X-men" which I was very much into (that's part of what drove me to check the service out). 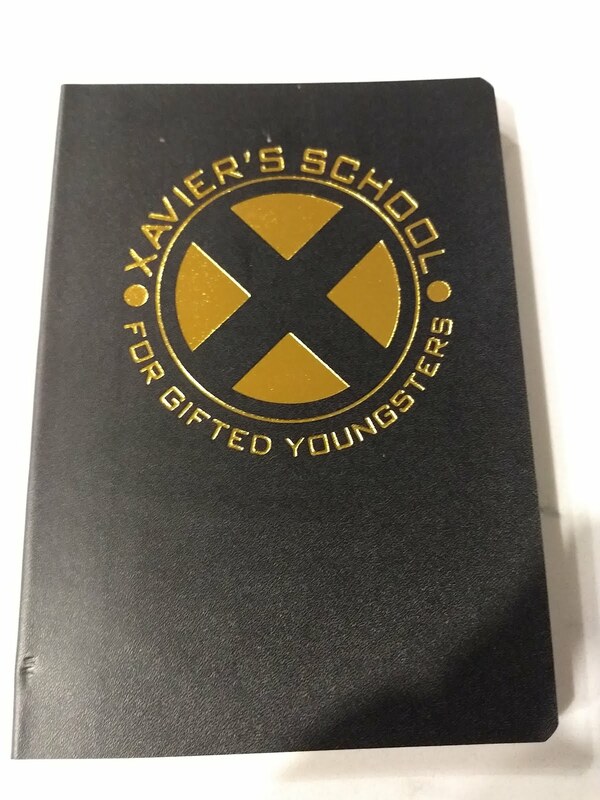 A really nice notebook for mutants and non-mutants alike. I think I'll be using this to jot down different ideas and general creative musings I have. 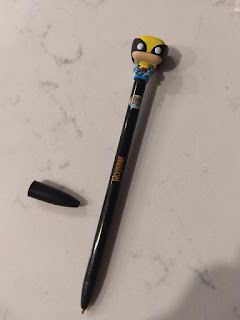 They were also nice enough to send a fun Funko Wolverine pen along with it! Next is a pair of Beast-themed socks. 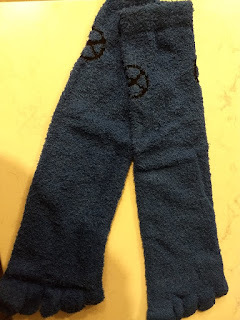 The individual toe sleeves are definitely a little different, but they keep the tootsies warm like nothing else - perfect to get through the last cold spells of January and February. 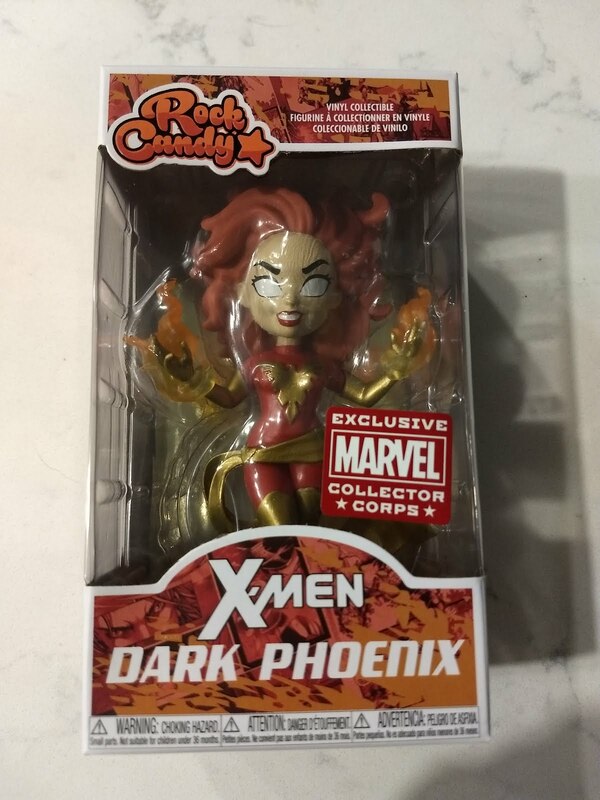 Then there's a Pop Candy figure for Phoenix that's pretty sick and has a bobble head to boot (yes, I'm an out-of-the box collector - but the casing is pretty sweet so I did hang onto it). 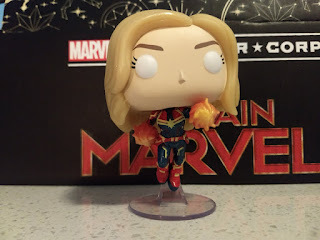 April's box gave some love to the newest member of the Marvel Cinematic Universe with not just one, but two full-sized Pop Figures and a couple other goodies as well. The box starts off with a graphic tee featuring a Funko rendition of Captain Marvel herself. 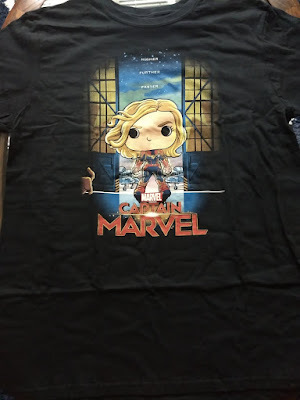 I'm not a gigantic graphic tee person, but it did fit to size (the service lets you pick your shirt size in advance) and is nicely designed. 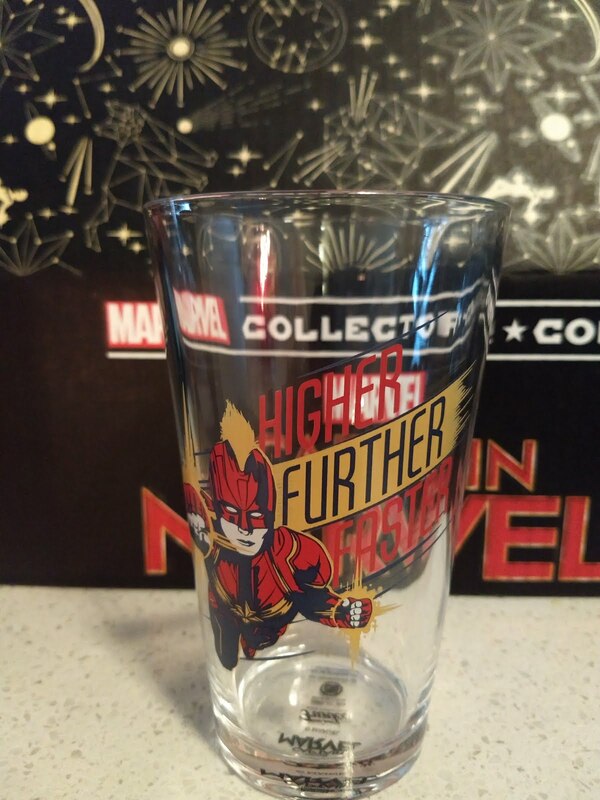 Up next is an awesome pint glass featuring a more comic-book-y version of Captain Marvel. This one is much nearer and dearer to my heart. 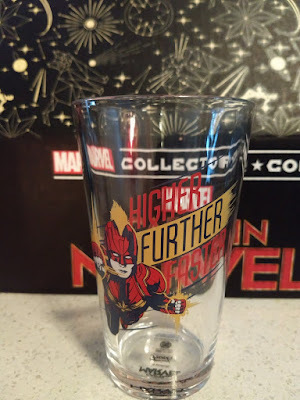 It's not really anything spectacular in terms of pint glass design, but I didn't really have any designated beer glasses yet, so this has made a fine addition to my kitchen. The first Pop Figure on the list is none other than Captain Marvel herself. 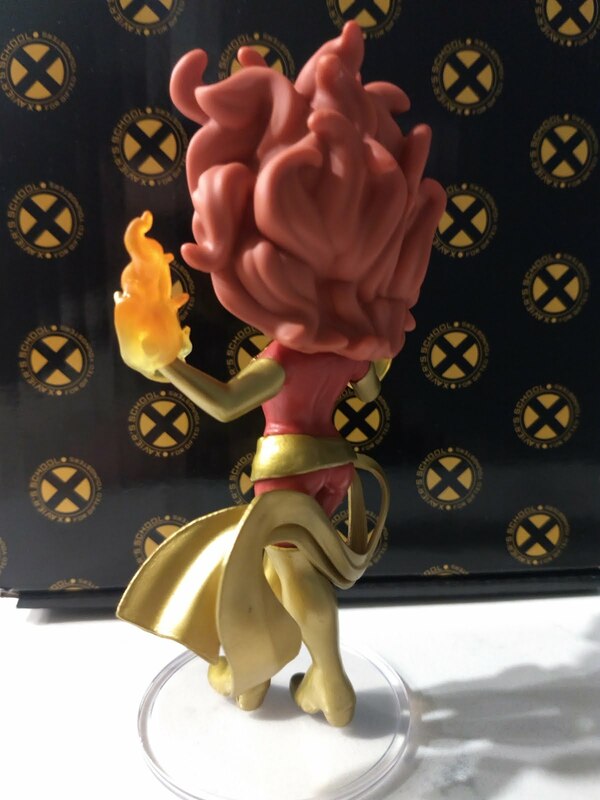 The energy on her hands is supposed to glow in the dark, I haven't really seen that it does that super well, but it's a fun, dynamic figure anyway. Second, is a Nick Fury AND Goose Pop. 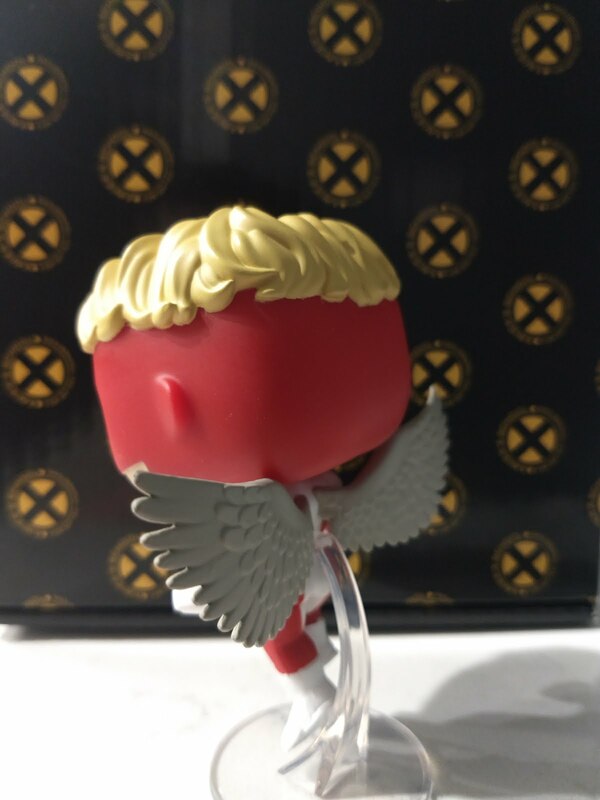 While this is a welcome surprise in the box, my main complaint with this one is that he doesn't have a good center of balance. 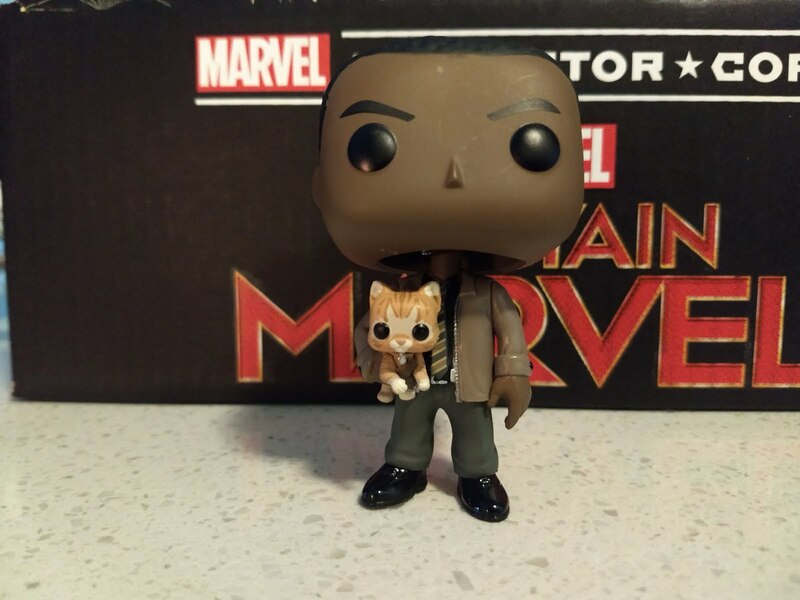 He'll stand just fine, but if you try to bobble him at all, he tends to tip over. They probably should have given him a base to stand on or something. 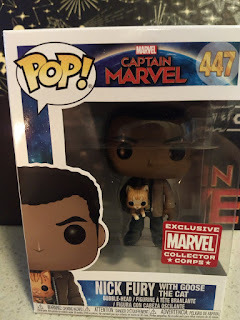 I had this exact same problem with the Gamerverse Miles Morales figure (his figure from the Spiderman PS4 game). 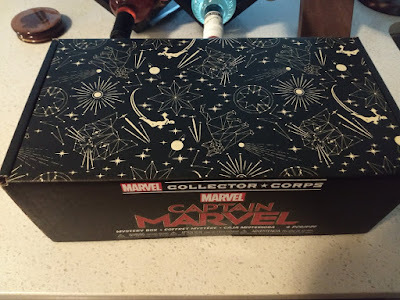 For anyone curious, the teaser card in here indicates that May's box will be themed on the AVENGERS: ENDGAME movie (which makes sense given the timing). IS THE SUBSRIPTION WORTH CONTINUING? So far, I've been enjoying these. 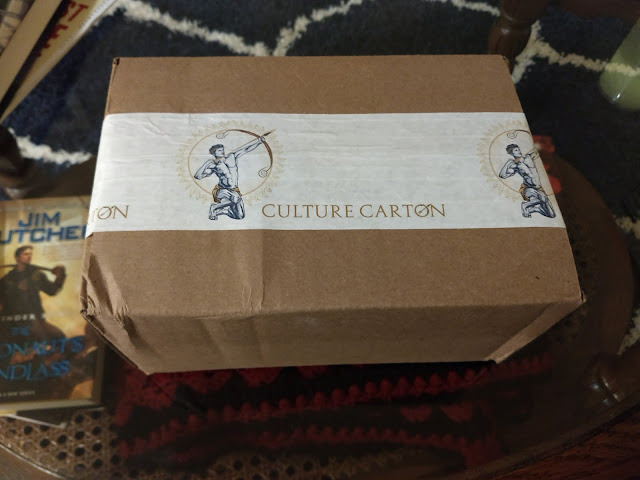 They are completely frivolous and eventually, I think I will have to many, but for now, I've loved getting one of these little surprise boxes every other month. 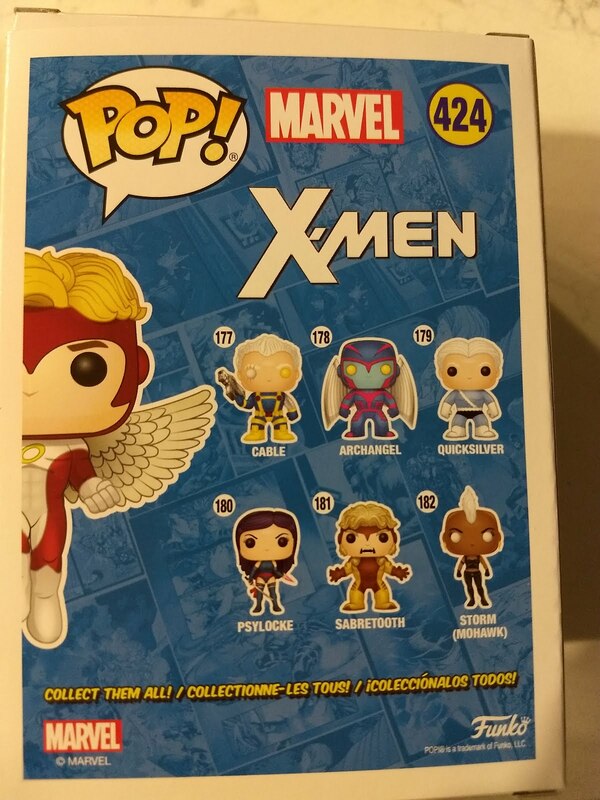 They do come in at around $30 a box, but there's good value in each one and it's not an every month thing. If you want to skip or turn off the subscription it's easy enough to toggle your subscription status through Amazon. 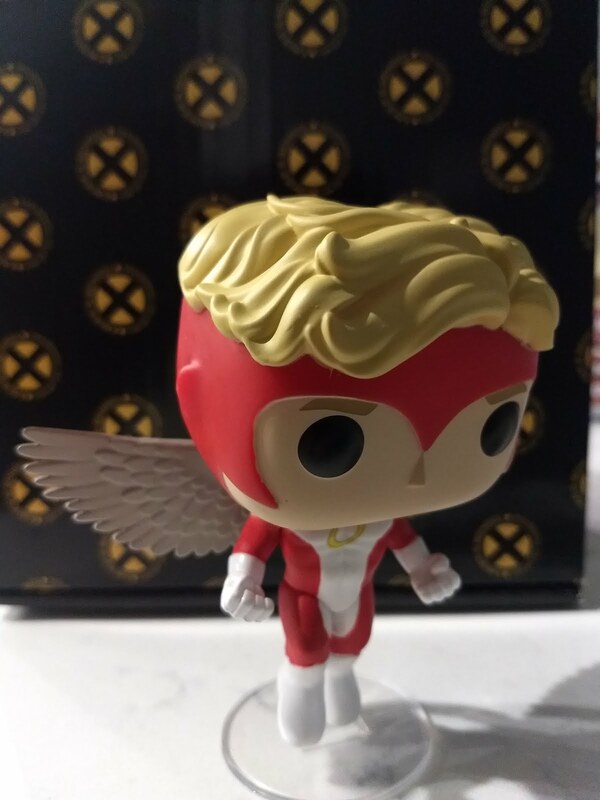 The Pop figures are nice and so far the little side items have been awesome as well. 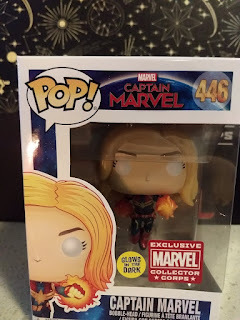 Looking forward to the ENDGAME box. 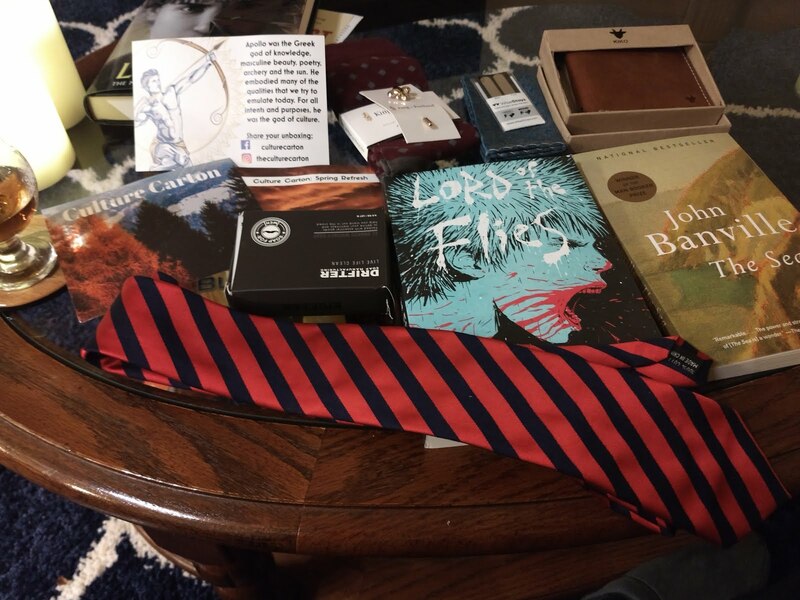 There are no shortage of box subscriptions out there that contain books and bookish things, but a lot of them are decidedly targeted toward a female audience. Don't get me wrong, I'm not violently opposed to scented candles, frilly packaging, or even romantic YA fiction, that's just not something I'm really looking to subscribe to. 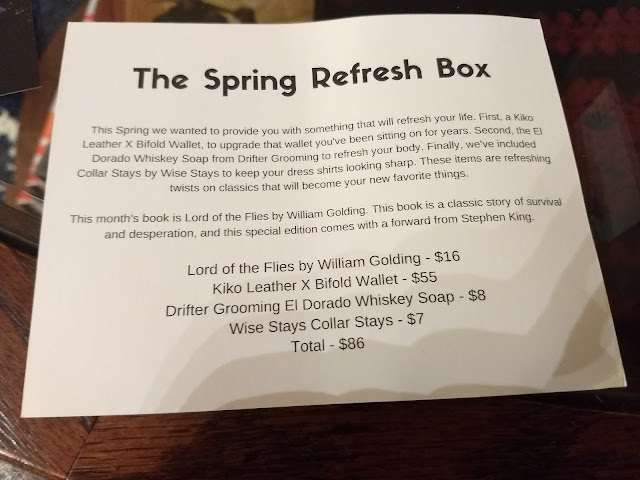 Sure there are some options out there that focus on just delivering books, but I kind of wanted little surprise side things too. What I landed on is a service called Culture Carton. 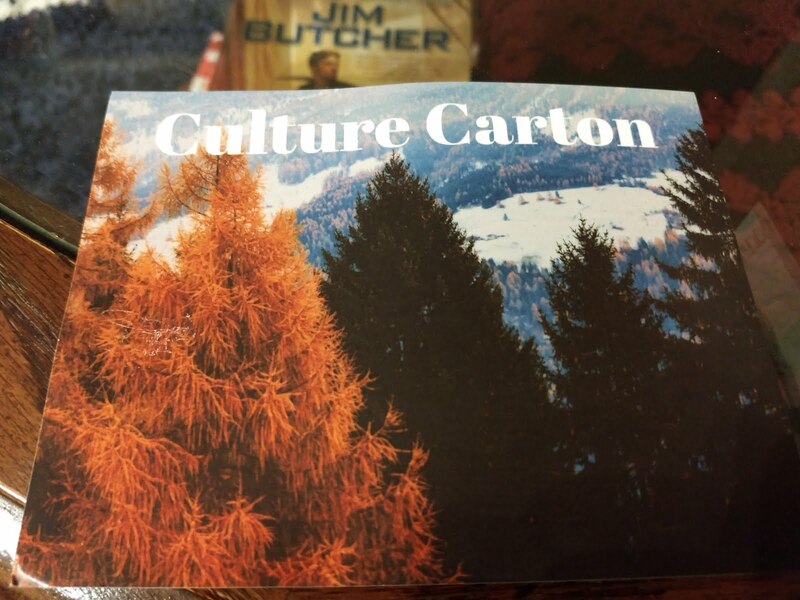 Culture Carton puts its focus on delivering both books and assorted items that seek to help subscribers look, feel, and be more cultured. This consists of one book and a variable number of other items. 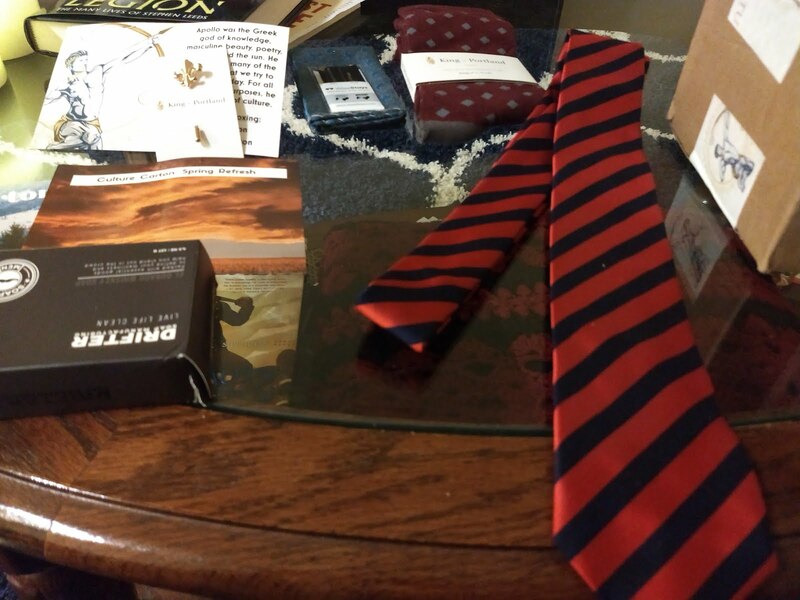 Generally, these other gifts aren't really related to books at all, but each box does have a theme. When I signed up, I actually opted to get a second mystery box from the pool of previously shipped packages (I didn't get to pick which one, but it did cost the standard fee). 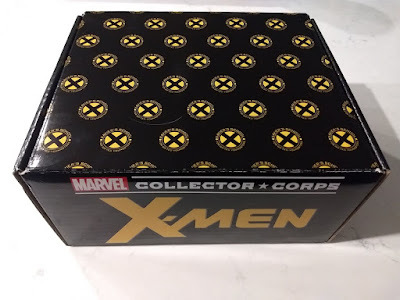 There's nothing particularly special about the box itself. 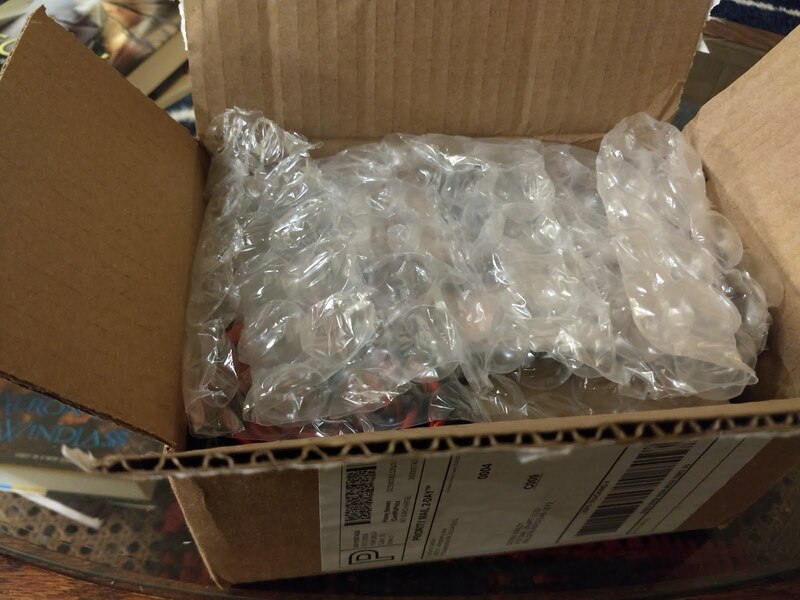 I will note that they packed the two boxes I ordered into this one, so it's also possible that they are normally smaller. You may have also noticed the crunched edges of the box. This initially worried me, but they packed it up very well and none of the contents were at all damaged during shipment. Although they sent both boxes as one, there were accompanying cards listing out the contents of each so I'll break them down separately. 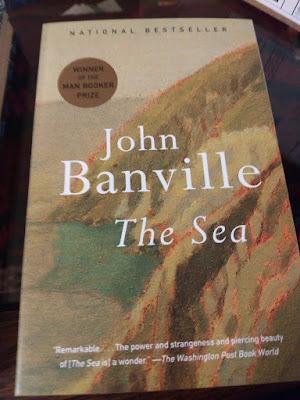 The book of the month is by John Banville (the namesake of this box) who I've never actually heard of so I'm cautiously optimistic that this book will "culture" me even if it doesn't appear to be within my usual range. 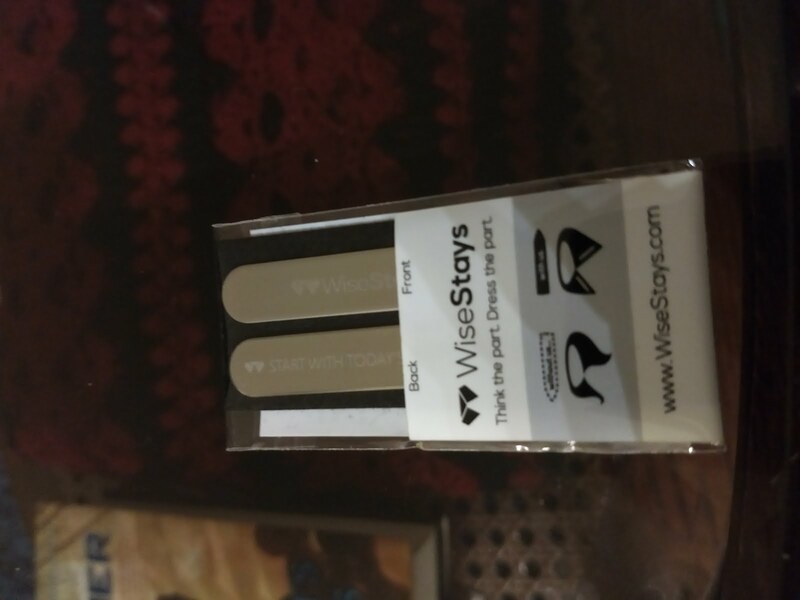 I'll review it in a separate post. 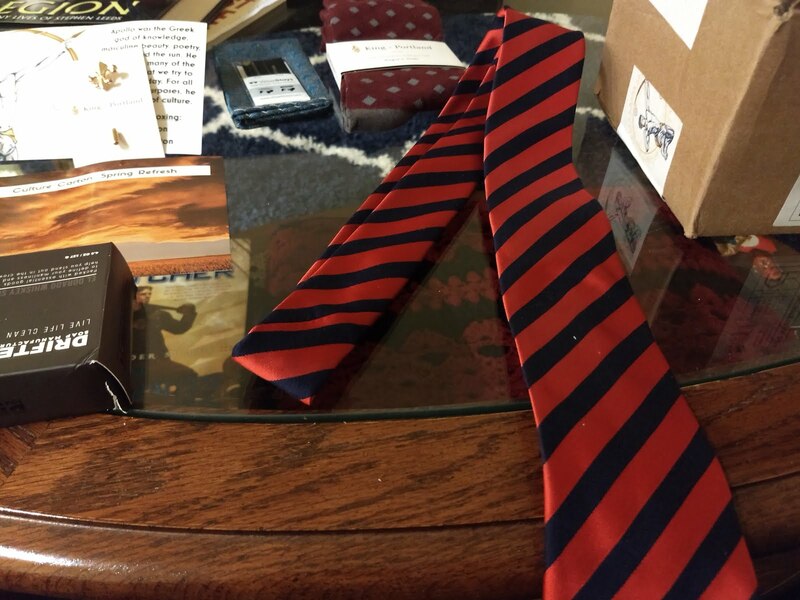 The first gift in the box is a pretty stylish tie. While I haven't had an opportunity to wear it out just yet, I do like the look of it and when I tried it on, I found that it had a nice body to it in spite of being on the thinner/lighter side. 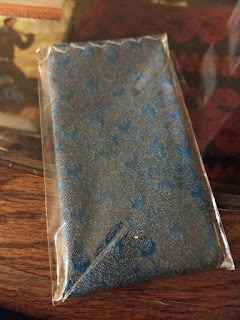 Second in the box is the pocket square. It's definitely an unusual color that I'm not actually sure really goes with the other fashion items as the card suggests, but I do feel fancier for now owning one even though I'll need to YouTube how to actually fold and tuck one of these into a pocket. Up next is the Lapel Pin which is pretty fancy indeed! 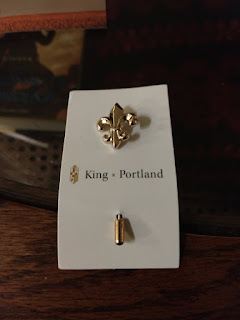 I get the general gist of how you would go about wearing this, but I'll probably still do some research on how/where best to put it on before appearing in public with it. 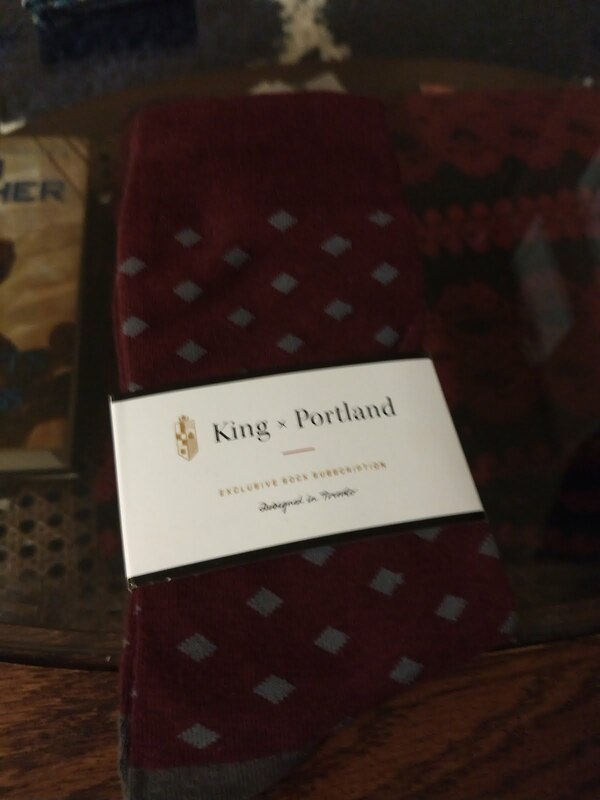 Rounding out this box is a snazzy pair of socks. I actually have worn these a few times now to work. I like that they're sort of an unusual shade, but don't really clash with too much either. 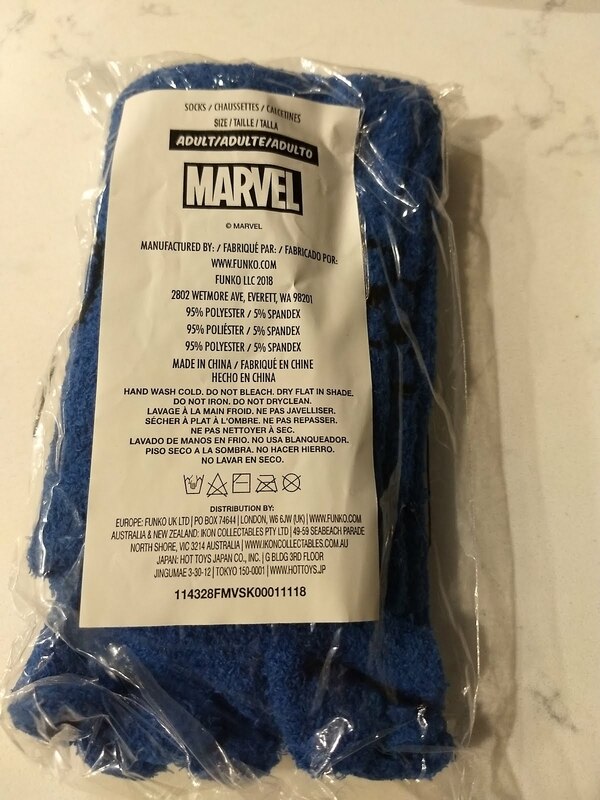 They're also really soft. 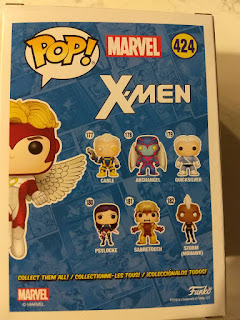 The second box that came is apparently from last Spring. It comes with 3 gifts instead of four, opting for a pricier wallet that seems to make up the difference. The book of that month was LORD OF THE FLIES which I've already read, though that was in High School and it's probably worth a re-read now. That said, I also didn't own my own copy and this one is much nicer than what we had in class, so it still felt like a worthy addition to my book collection. 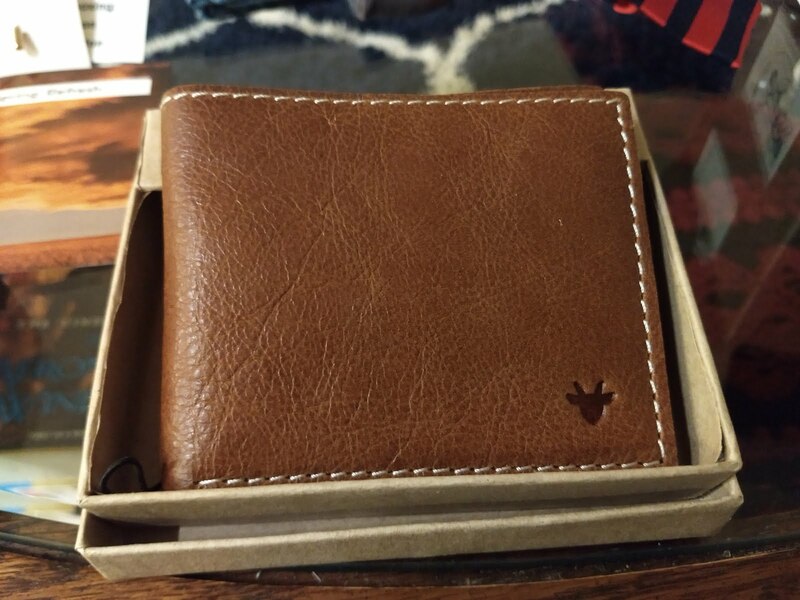 The main event of the gifts seems to be the brown leather wallet. 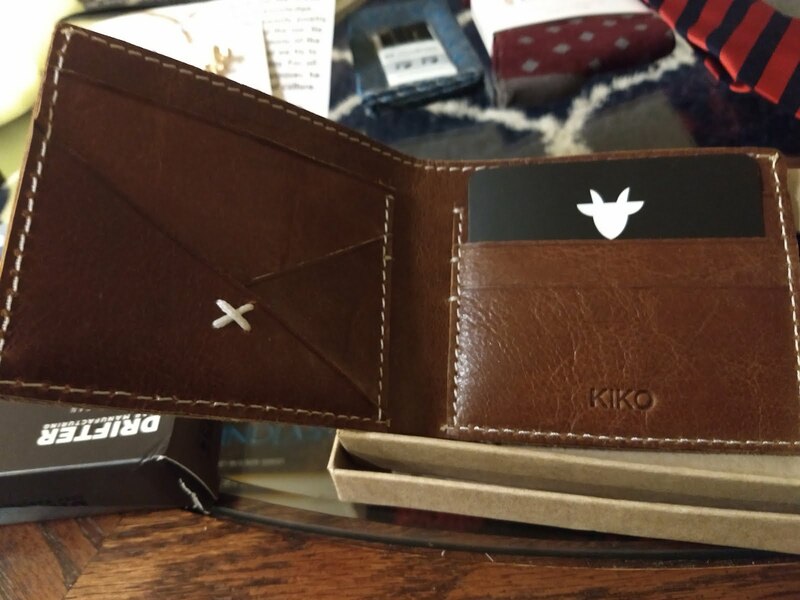 It is really nice in how it feels sturdy but isn't too thick. 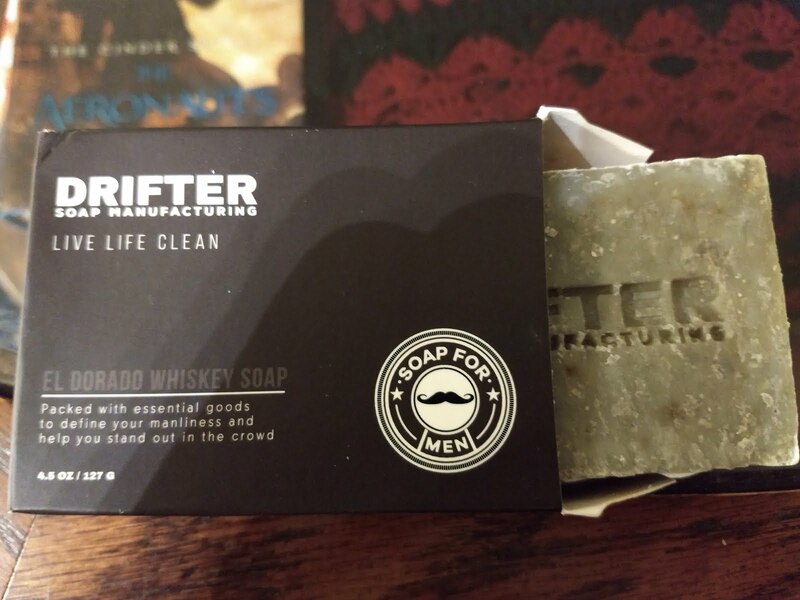 The second item in the box is a bar of Whiskey soap. I've been using this and like all bars of soap, it will eventually disappear into nothing, but I've been liking the unique smell of it and how it doesn't leave a nasty film or anything on my skin. 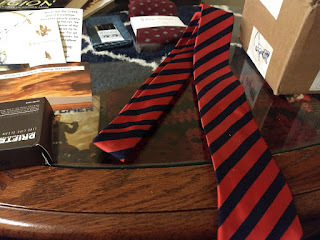 Tying things up is a set of collar stays (little do-dads that you can poke up into the collar of a shirt to keep it crisp if they have the slits for them). I'd honestly never heard of such a thing so I found this one to be pretty cool since floppy collars are pretty annoying. 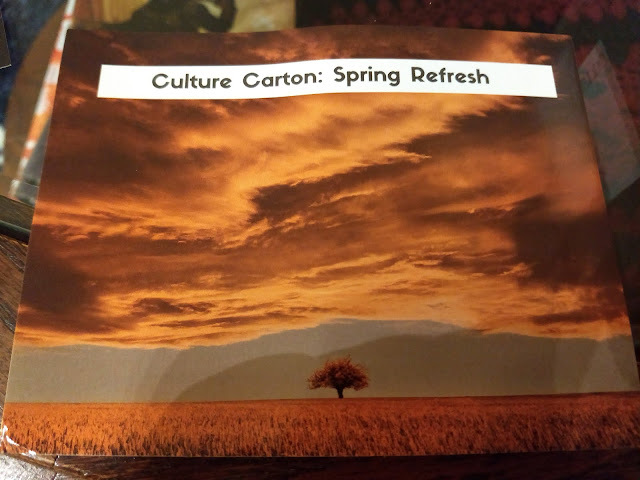 Culture Carton has 3 different options: one that includes a book and some items, one with just the items, and an option for just the book. It's an interesting model to be sure. 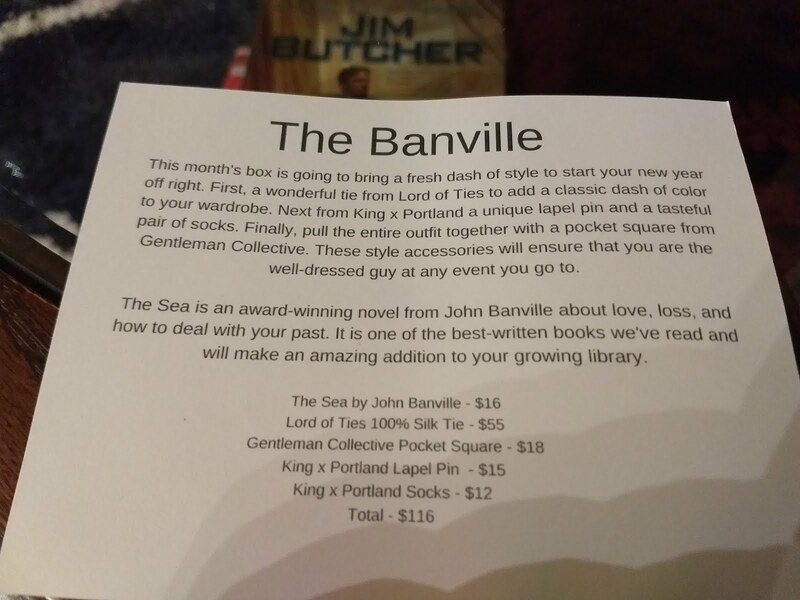 I went with the Standard option but the idea of the Essential option is also intriguing even though that would make it a book subscription service no longer. My biggest hangup here is the price point. Yes, all the items and the books themselves are of a wonderful quality and the costs for each item listed on the box summary cards indicate that everything is packaged together at a bargain, but there are less expensive ways to pamper oneself. I almost wish the service wasn't monthly - maybe every other month would work better for me. Another sort of off-putting thing for me was actually at the point of subscription itself. There appears to be no elegant way to unsubscribe from the service. Should you want to end your subscription you basically do so by sending an email to a designated address. That just feels super weird and wonky to me and actually almost made me abandon at the point of sale. 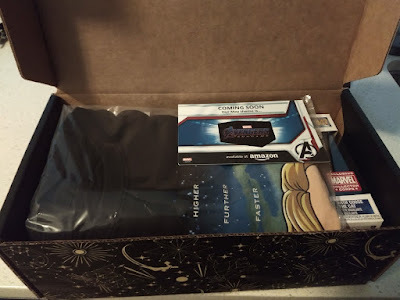 What saved it for me is that there is the option to send a single box as a gift, so I basically did that for myself just so I could get one delivery without locking myself in. There was nothing in the system that stopped me from doing this so I wonder if that's intended functionality or an unintended "hack" that I was able to find - either way, it's the only reason I was able to willing the trigger. While I found the included items to be very fancy, many of them are really only something I'd be able to use on special occasions. It'll be fun to break them out when those arise, but there's a sense of immediate gratification that wasn't there for me on everything. Lastly, I found the book choices to just be rather safe. Even looking back through prior boxes they've shipped, a lot of the selections seemed to be things I'd read before or at least heard of one way or another (and perhaps elected not to read). As you may have spotted through my glass coffee table, I definitely like books that are on the weirder and wilder side. While I see plenty of value in reading works that are generally more culturally relevant, I also feel like those are easy enough to pick up on my own. I just didn't get the sense that this service was delivering anything groundbreaking or otherwise special when it came to their literature selection. I'm a huge fan of Insomniac Games' recent Spider-Man video game for the PlayStation4. I even read and greatly enjoyed the prequel novel. Around the holidays I received Marvel's Spider-Man: The Art of the Game from a secret Santa (as in the identity or identities of said "Santa" remains a secret) and of course immediately began flipping through the pages. While I was instantly impressed, it wasn't till I took the time to really sit down with it that I realized what a treasure trove it is. 5/5 Not only is the art stunning, but it's also accompanied by interesting and insightful tidbits regarding the creative process that led to what players experienced in the game that I think would honestly be captivating for anyone with a creative mind. The main attraction in any art book is, of course, the art within it. Each page is brimming with gorgeously depicted paintings, sketches, and some renders of the finished products. The subjects range from characters to key locations, and even some of the gadgets and pseudo science fiction technology that shows up in-game. My one complaint is that the art is almost too good, or at least too polished. I personally love seeing the earlier, crappier phases of concept art and this book does showcase some of the earlier sketches and silhouettes for some of the characters and gear, it's just that you definitely get the sense that it's all been carefully cleaned up and composed for your viewing pleasure. I think most art books actually do this, the main reason I notice it hear is because of how detailed the little informational snippets are when talking about earlier ideas they worked on for the characters, scenery, and equipment. None of that really seems to be reflected in the imagery on the page. For the most part, you're seeing what looks like at least a second draft of something or perhaps a remaster of an early piece of concept art. 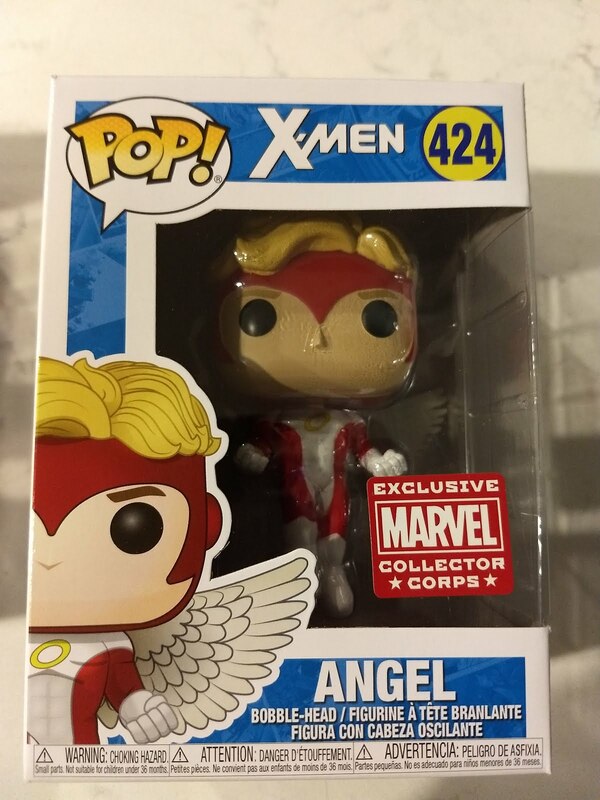 This is a very minor gripe though and I totally get why the creative team would want to break out the best for this collection. 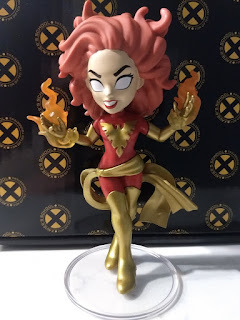 I also should note that you definitely CAN see the different ideas artists were throwing around and get a sense for how the characters progressed over time and some are shockingly different from the final designs. The most surprising aspect of this for me was the detailed tidbits of information that offer readers insight into how each person, place, and thing in the game came to be. 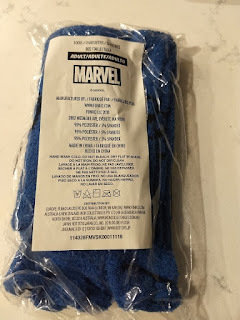 There are surprisingly honest (though not unflattering) descriptions of what it was like to partner with Marvel and some of the back and forth that was involved in remaining true to the spirit of the source material while also offering the audience something wholly new to enjoy. There's quite a bit of info to read through which not only heightened my appreciation for the artwork before me, but also greatly extended the amount of time I spent actually reading through this book. 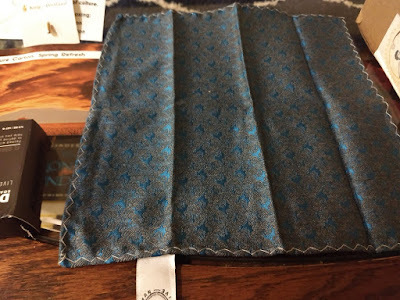 It's rare to get such an in-depth look at how something morphs from idea into a shippable product so to have that process so clearly articulated felt like a wealth of creative insight that goes above and beyond what I'd ever have expected. 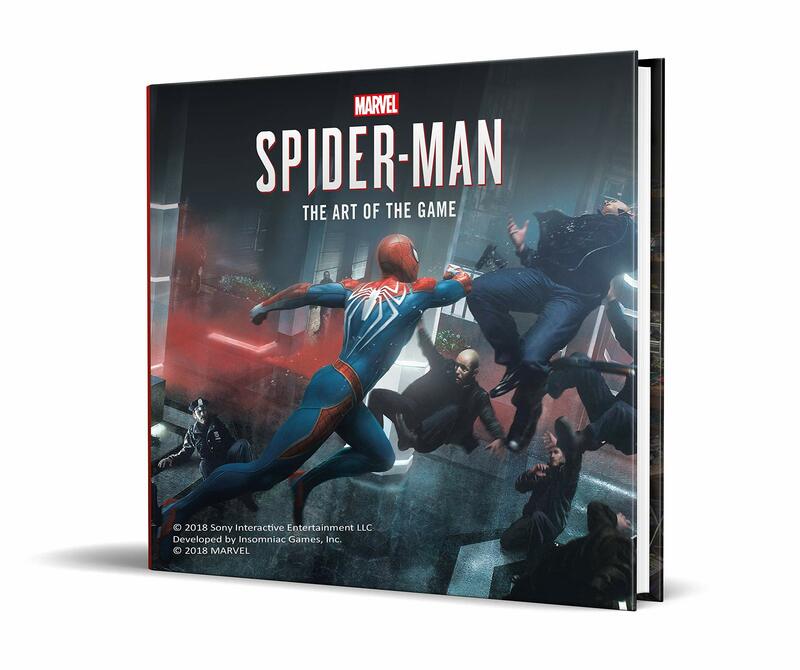 I think Marvel's Spider-Man: The Art of the Game appeals not only to people who greatly enjoyed the video game and its breathtaking aesthetics, but also anyone who enjoys undertaking creative projects for either personal or professional uses. There's a great deal of work that goes into a piece of art in any medium so having nice references like this can be invaluable for those trying to practice different art forms. I'd definitely recommend this for anyone who falls into either of these groups, or even maybe just people who like really nice Spider-Man art. The fifth entry in this series keeps with the momentum that's re-established in VOLUME 4. The war between flesh and metal officially kicks off and there'll be no turning back. 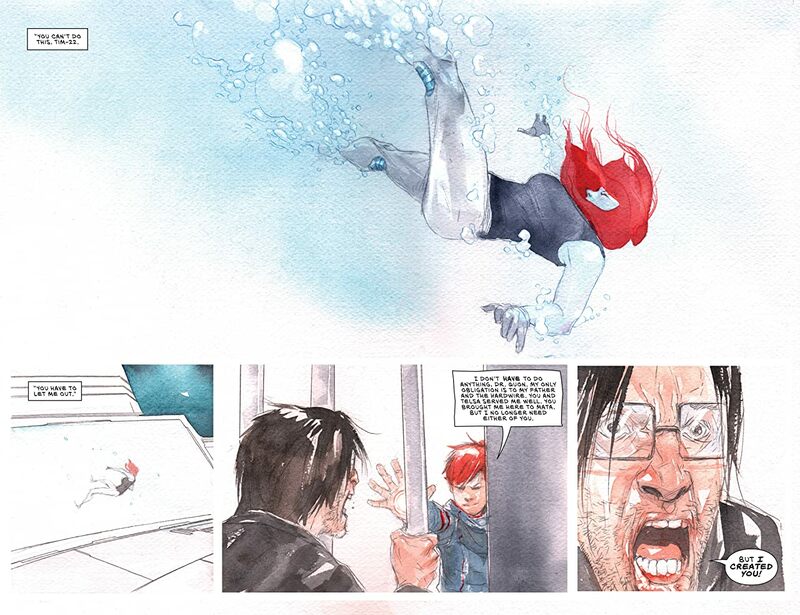 5/5 High quality art, high octane pacing, and some fulfilling payoffs make this one of the strongest volumes in DESCENDER to date. Tim-21, Telsa, Quon, Andy, Eff, Driller, and the rest of the gang are back as Psius pulls the final strings to send the universe into chaos. As with before, perspective jumps around to the different parties: with Telsa and Quon struggling against the unhinged Tim-22, Tim-21 trying to escape Psius's ship to rescue them, Driller exploring a strange planet with his new friend, and Andy, Eff, and co. brought aboard Nagoki's flagship. It was cool to finally see Telsa's stern father in action as fleet commander as well as rewarding to have a brutal confrontation with Tim-22. I also enjoyed the emotional roller coaster that Andy has to go through as the world as he knows it shifts around beneath him. Much of the story takes place upon various starships, but there's a generous amount of alien scenery to enjoy as well. One planet of particular note is Noch, the planet that Driller and his friend traverse through. This one will be of special interest to fans not only because of how it serves as the backdrop to some character development for Driller, but also because it introduces magic to this universe. It's home to goblins that hurl spirit bombs which turn their victims into more spirit bombs as well as vampires that make their home beneath sinkholes, waiting to devour any unlucky enough to fall through. 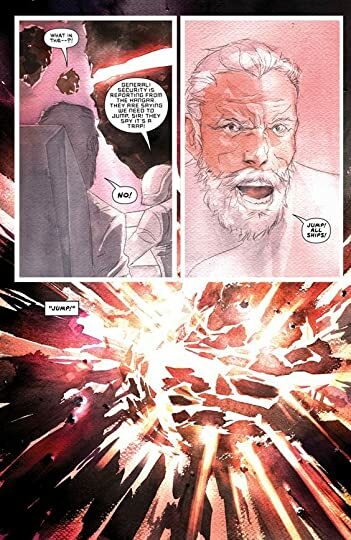 Though this planet is only featured for one full issue, there seems to be a lot of potential that it introduces, perhaps something that's being saved for after the Harvesters - assuming there is something to come after their arrival. There are also some interesting developments beneath the surface of Mata, but to say any more there would be approaching spoiler territory. As I mentioned before, the plot progresses very nicely and rapidly. Things have all begun to come together, but there's also much more to come. This volume lays down some hints at what some of the secrets might be regarding Tim-21's connection to the Harvesters, Psius's full intentions for living beings, and what makes Mata so central to everything. Driller's issue feels like sort of a stray side-story, but I imagine that it's setting up some important things to come as well. Chaos is the ruling force now and from here to the finish line, it will be a desperate race to stop the destruction of organic life. Readers are left with some cliffhangers on that front, but that will just make diving into the sixth installment all the more enjoyable. 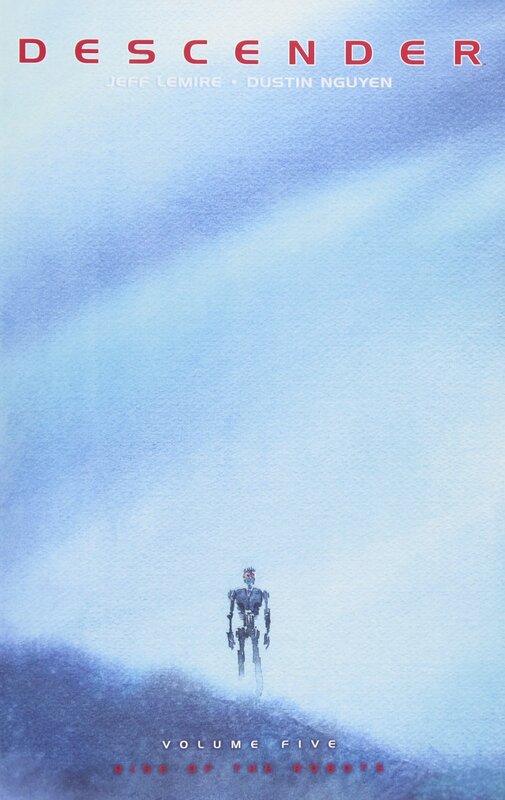 Everything from the subtleties in Tim-21's facial expressions to the watery depths of Mata and Driller's violent encounter with a goblin camp is rendered as lovingly as ever with the watercolor-esque style that the series has become well known for. If you've been with the series up until now, this will have some of the important payoffs you've been waiting for. It does an excellent job at depicting the early stages of the organic/synthetic war while also teeing up whatever grand finale to the conflict the creators have in store. I found myself engrossed in everything going on here and I'm eager to see what comes next. 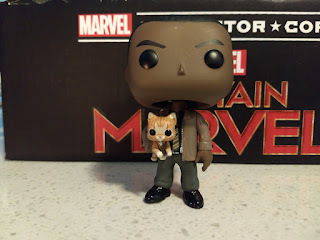 Welcome to my blog on things I've read and stuff I've written. I'm the author of an independently published novel called DIGITARUM as well as a science fiction novel that was ghostwritten. Since being published, I've discovered a new-found passion for all things literature. I hope to keep expanding upon my own writing with as much success as I can muster and become more and more engaged in the literary community as a whole. I'll be sharing thoughts on stuff I've read as well as opening up about what I'm currently working on or things/people that contributed to the stories I have written. If you enjoy that sort of thing, then definitely please show some love by subscribing to emails, commenting on posts, or checking out DIGITARUM. 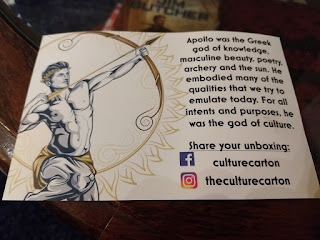 I see this blog as another outlet for my writing and it is my hope for others to enjoy reading my work as much as I enjoyed creating it.